The USS Iwo Jima LPH-2, it had a landing platform for Helicopters and it provided two Marine companies with the ability to make vertical assaults on enemy positions. 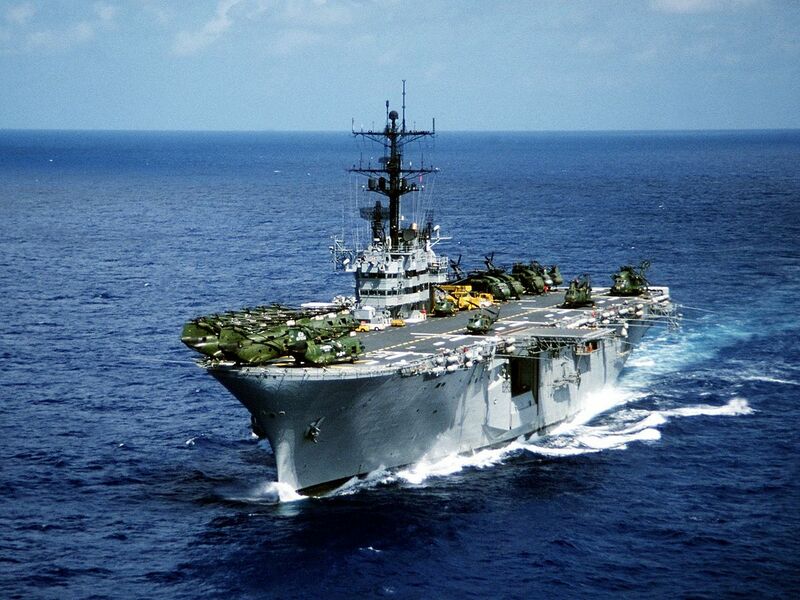 The deck of the Iwo was covered with a CH-34 Sikorsky choppers designed and built in the late 1950s and still being used by Marine Aviation Squadrons. 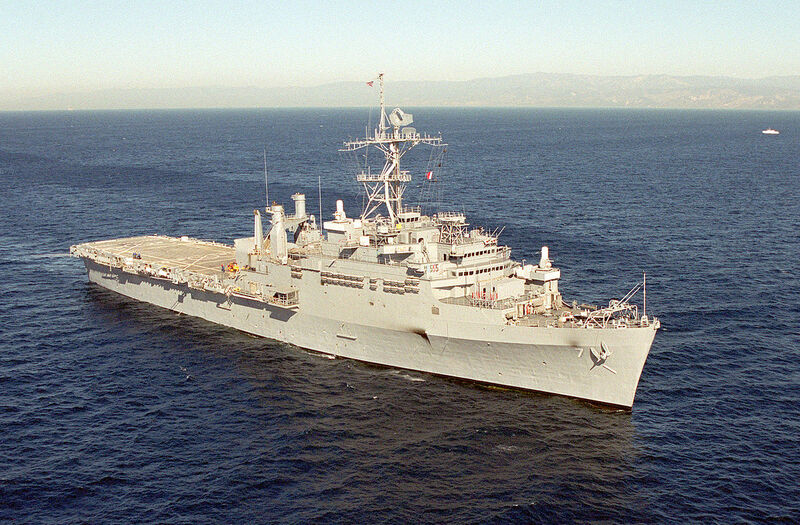 The USS Cleveland, LSD-7, was a newly commission dual purpose amphibious assault ship that carried two of the four Marine companies that made up the Battalion Landing Team, called the BLT. The Cleveland had a landing platform for helicopters at the stern or rear section of the ship. Below this aft deck, there were stern loading doors that opened to the sea that served as a dock for amphibious landing craft called amtracks. Pfc. 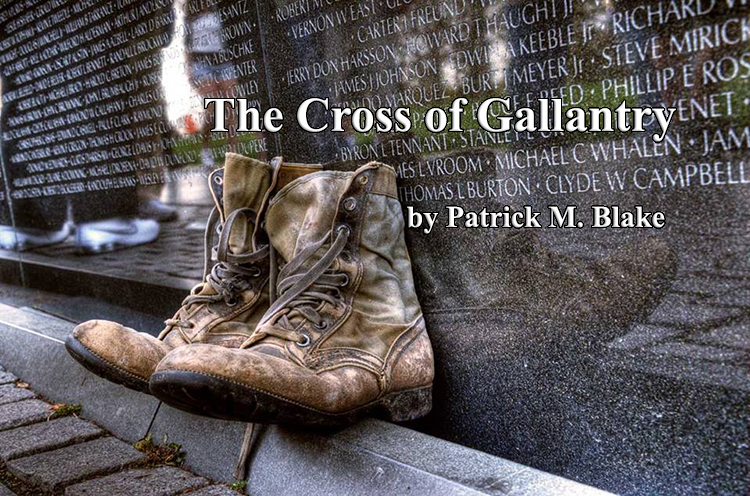 Patrick Blake, Cau Viet, January 1968. The Captain of the USS REPOSE presents the Purple Heart to Pfc. 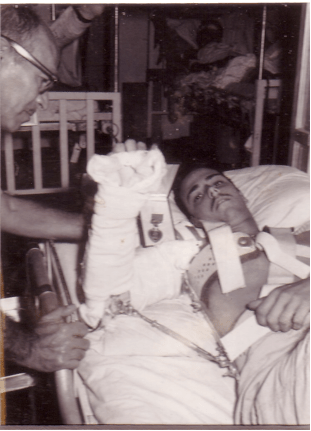 Patrick Blake, 22 January 1968. 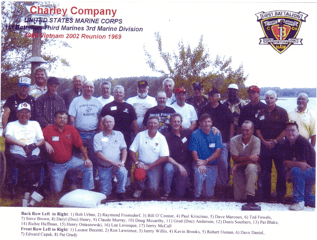 Charlie Company, 1st Battalion, 3rd Marines Reunion, 1999. Patrick Blake, back row fifth from right. Pfc. 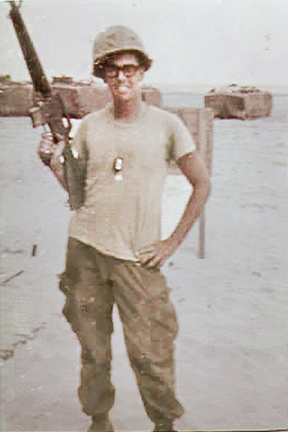 Ken Forbes with his sniper rifle, an M-16 with a Starlight night vision scope.